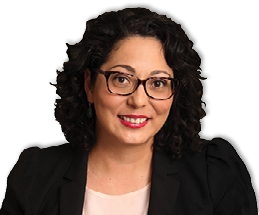 Assemblymember Cristina Garcia (D-Bell Gardens) announced Service Master Professional Home & Disaster Cleaning Services as her “Small Business of the Year 2016” for the 58th Assembly District. Assm. Garcia honored Service Master Professional Home & Disaster Cleaning Services for their commitment to the community and for their business model at a recognition luncheon in Sacramento with businesses from throughout the state. Thirty-four years ago, Ron Vanden Bosch and his wife began operating Service Master Professional Home & Disaster Cleaning Services, a small restoration service business operating out of Bellflower. Beyond disaster restoration, Service Master offers services such as upholstery cleaning, odor cleaning, mold remediation, and even clean up services for hoarding situations. Service Master is a multi-generational business – Bosch has three sons, two of which help operate the business and will soon take over the business entirely. Both generations have grown up in Bellflower and understand the importance of a community-run business. Service Master also takes part in various community events. They co-sponsor the Annual Community Christmas Party in conjunction with the Bellflower Chamber of Commerce. They have also cleaned the red carpet for the Hollywood Christmas Parade in the past. Beyond their immediate community, Service Master also gives back by taking part in the Compton Initiative, which aims to bring restoration throughout the area. “It’s important for us to have our name out there and the business is seen within the community so that they know we are a family organization that is here to support the city,” said Bosch.